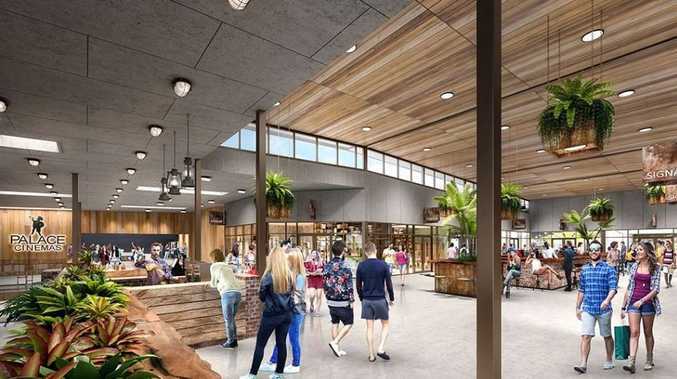 MERCATO on Byron, a brand-new retail and entertainment precinct in the heart of Byron Bay, is on schedule to open its doors in April. With 7,895sqm over two levels and anchor tenants such as Woolworths and Palace Cinemas, the centre is an integrated urban market place and the first ever one-stop regional shopping centre in Byron Bay. More than 70 per cent of the retail floor space has been leased, and other committed tenants to date include Bed, Bath and Table, Livelife Pharmacy, Otto Kebabs, Bay Sushi, Beef and Beach Byron Bay and Crispy Fried Chicken. The centre is also Australia's first regional shopping complex aimed at achieving a 5 Star Green Star Retail Centre Design v1 2018 rating. In a deal negotiated by Kelly Buxton of Colliers International, The Reject Shop is the most recent tenant to commit to a 7-year lease across 475sqm on the upper level of the centre. "This is a rare opportunity for retailers to be a part of the highly sought-after, ever growing Byron Bay location," Mrs Buxton said. "We only have limited spaces available for lease - one restaurant space of 170sqm with 43sqm balcony outside the cinema's entrance, as well as few smaller tenancies of approximately 60sqm located on the upper level." Local Agent Sophie Christou said she's been involved with the project since its inception in 2013 and is thrilled to be sourcing local and national retailers for the property. "I'm so excited by this development and I can't wait to see it open and offer the local community and visitors alike a convenient retail, dining and lifestyle destination," Ms Christou said. "This is not your average shopping centre. Developers Azzura Investments Limited and Wingate Property have worked tirelessly to ensure the magic of Byron isn't lost in a typical modern shopping precinct. "All the shop fit designs echo the Byron ethos and the use of natural, recyclable and locally sourced materials in the construction has put this centre in a good position to become something unique and an iconic landmark in the Byron Shire." Abundant greenery and recycled wood and bricks are a major feature of the new Mercato on Byron, with local retail designer Nyree Mackenzie of NM Interiors overseeing the overall interior and tenant design concept. Further leasing opportunities are limited, please contact Sophie Christou 0419 399 222 or Kelly Buxton 0456 640 349 to discuss availability.